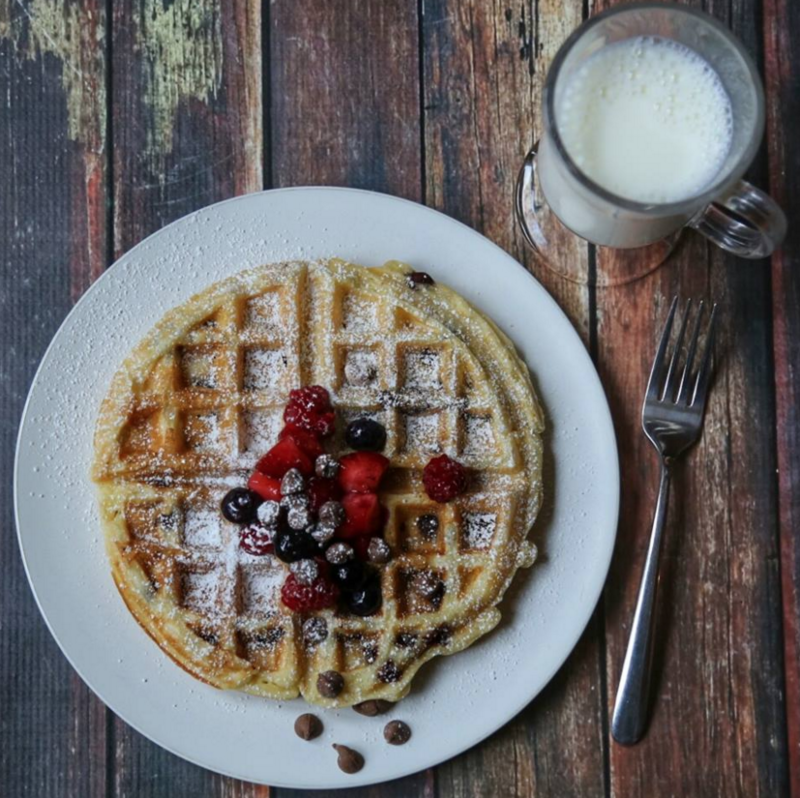 Sometimes we deserve a delicious, homemade breakfast and for my family that means using this EASY waffle recipe which always makes them smile. I’ve used this recipe for YEARS! It’s become a requirement for every birthday and special days in our home. The basics are simple, then you can add in whatever you’d like with it. We’ve been known to throw in chocolate chips, fruit and even cheese when the mood struck. Today Sydney who is 12 was in a funk…I’m not sure if it’s the teen years or her anxiety rearing it’s nasty head but she’s been avoiding all interaction with us. There was a glimmer of hope when she yelled from her room “Hey Mom can you make waffles?”. What??? You’re talking to me? Yes of course I’ll make a batch….and off I went. Hey…mama’s gotta do what she can these days. In another bowl mix the wet ingredients together. Combine the wet and dry ingredients together and mix until there are no lumps. Spray waffle maker with non-stick spray and fill with the mix. Close lid and cook until golden. Remove and sprinkle with powdered sugar and top as you please! I’ve made a video to show what I did…hope you enjoy it! Watched the video and these look super yummy, I love waffles!! Great recipe! I will have to try for sure, as our grandchildren are here weekly visiting for breakfast. Thank you for sharing! 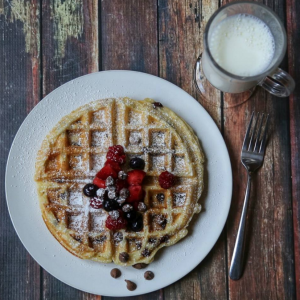 This recipe looks awesome and my kids love waffles! I love super simple waffles, and your recipe looks just about right. Ps. I hope you have cheerful days ahead. I seriously need to get myself a waffle maker!